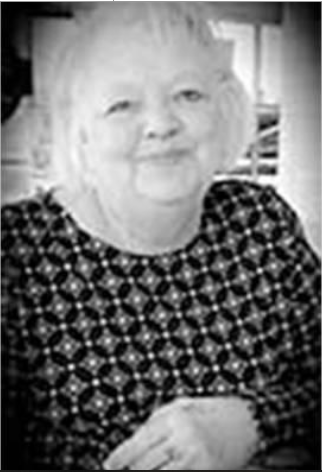 ASHEBORO — Constance Jane Jenkins Morgan, affectionately known to most as Connie, of Asheboro passed away Sunday, Jan. 13, 2019, at her daughter’s home after a lengthy struggle with diabetes and related complications. Connie was born in Shelby, N.C., on Feb. 20, 1949, the only daughter of Clifford and Mary Ella Jenkins. The funeral will be Sunday, Jan. 20, at 2 p.m. at First Baptist Church, 133 N. Church St., Asheboro, N.C., with Dr. Scotty Carpenter and Associate Pastor Mark Hall officiating. The family will receive friends at church following the ceremony. Mrs. Morgan spent her youth in Kannapolis, and after graduating from Kannapolis High School came to Asheboro to study fashion and interior design at Randolph Community College. Connie met Dale Morgan of Asheboro in 1967 and they were married in 1968. Dale and Connie spent a number of joyous years in Wilmington, N.C., before returning to Asheboro. In addition to her parents, she was preceded in death by husband of 50 years, Dale Morgan. She is survived by daughter, MaryDale Morgan Worboys and husband Ash of Asheboro, N.C.; and sons, Kenneth Morgan and wife Anita of High Point, N.C., and Kevin Morgan and wife Shelley of Landis, N.C.
She was Ganma to six grandchildren, Hampton Worboys, Easton Morgan, Kaden Morgan, Elizabeth Morgan, Ella Morgan and Enslie Morgan. Connie is also survived by aunt and uncle, Joyce and Eddie Harrington of Asheboro, N.C. In lieu of flowers, memorials may be made to the Hall Ministerial Educational Fund, First Baptist Church, Asheboro.